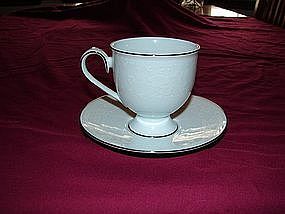 Noritake cup and saucer, Candice pattern. Marked Noritake Ireland. Mint condition.